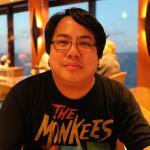 MPAA Rating: PG-13 for prolonged sequences of violence and destruction, suggestive content, and language. No post-credits scene. Running time: 136 minutes. Released by Universal Pictures. Buckle up, kids. A new Fast and Furious movie skids its way into theaters this weekend, and ain’t nothin’ changed – this eighth installment in the franchise doesn’t let off the gas one bit. Huge respect goes to this outrageous series for maintaining – and since Fast Five, improving – the franchise’s death-defying, high-flying quality by pushing the “go big or go home” maxim further with each sequel. The focus has been taken off of the street racing angles of the first three films (an instance of which perfunctorily opens The Fate of the Furious, just to keep its toes in the game) in favor of pushing the Toretto gang’s skills for high-powered heists (which, to be honest, was the primary focus of the first film) the forefront, leading to critical acclaim and box office blowouts year after year. For The Fate of the Furious (F8 – get it? 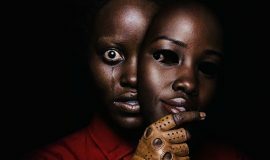 ), the franchise finds longtime director F. Gary Gray with his hands on the steering wheel, a change which also bodes well for this film. 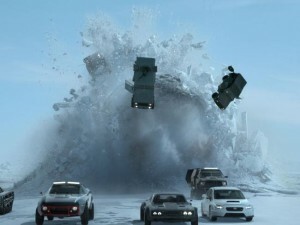 Having directed the 2003 remake of The Italian Job, which I credited in my review of Fast Five as an inspiration for what the Fast and Furious franchise has become, his assured style thankfully gives a more real-world grounding to its action (as opposed to sights like the runway chase at the end of Furious 6). 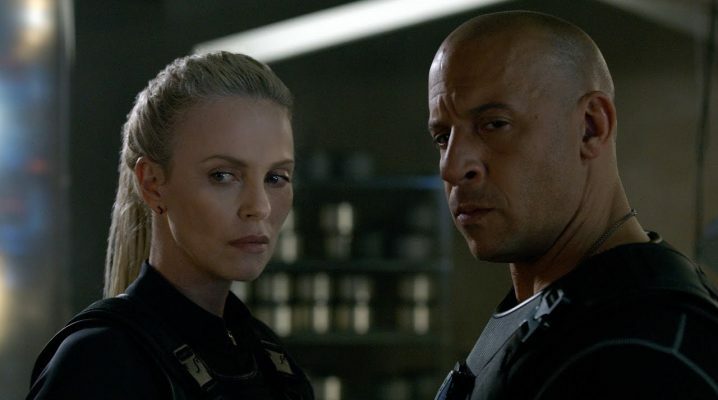 In becoming more grounded, however, The Fate of the Furious loses a little luster, a slightly superficial quality which gave the previous films a lot of their charm. But maybe that’s not a bad thing. The result is a tighter film which seems to have more in common with Gray’s The Negotiator rather than the rest of the Fast and Furious franchise, which is also not a bad thing. Without meaning insult, The Negotiator was more of a chess game compared to the relative checkers games played by the Fast and Furious series. Plot development, betrayals, and significant character development were the mainstays of The Negotiator, while the dialogue in Fast and Furious films merely serve to get us from set piece to set piece. 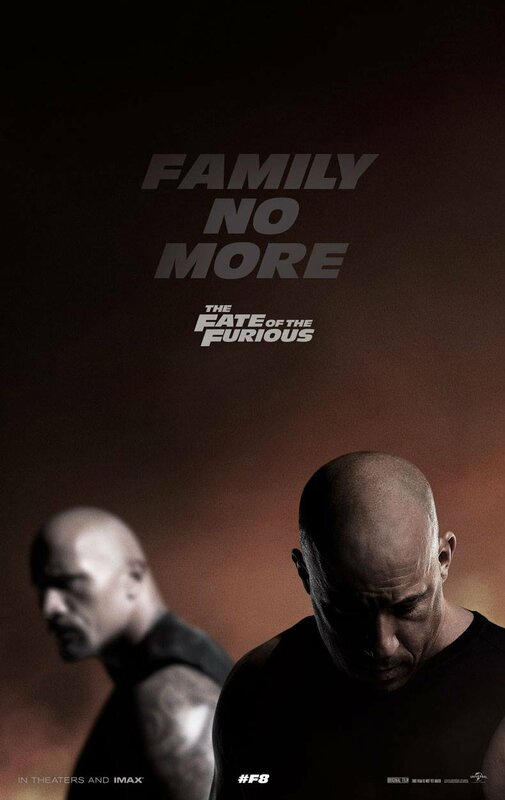 Screenwriter Chris Morgan (the franchise’s writer since Tokyo Drift) plays to Gray’s strengths, furthering and deepening the plot while keeping the action at the requisite Fast and Furious levels, making this feel like one of the more rounded, complete films in the franchise. He pushes Dominic Toretto (Vin Diesel) and his new wife Letty (Michelle Rodriguez) into places we’ve never seen them go before; Morgan also flips his own scripts by making the team reactionary to events, not being the cause of the events. Except, that is, for Dominic himself. This time, he’s back to being the hunted instead of the hunter after a spooky woman who seems to know a little too much about him (Cipher, played by Charlize Theron) approaches him with a cell phone picture, which is enough to turn him against his entire team in a stunning double-cross. Cipher’s a smarter female version of The Walking Dead’s Negan, capable of bending anyone to her destructive will and more than willing to kill someone just to make a point. However, Theron plays her as detachedly soft-spoken, as if she knows how much higher above everyone else she is and that she doesn’t need to raise her voice to exude power. All she has to do is show you how she can affect your life without even touching you, ending with you saying “How high?” when she asks you to jump. 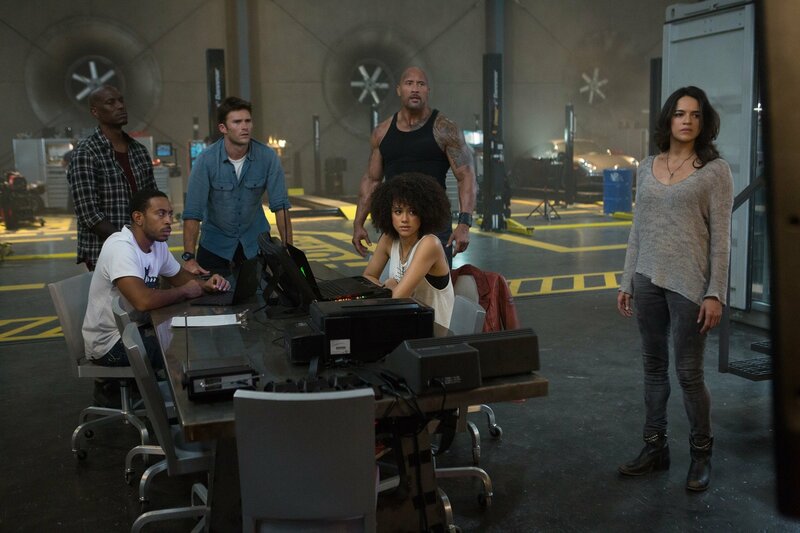 The other side, on which Tej (Chris “Ludacris” Bridges) humorously laments being at one point, has new ally Mr. Nobody (Kurt Russell) and Little Nobody (Scott Eastwood) recruiting the remaining members of Team Toretto to find Dom and Cipher before she reaches her endgame. With the entirety of Mr. Nobody’s assets at their disposal, it’s only a matter of using hacker Ramsey’s (Nathalie Emmanuel) “God’s Eye” program to find them, right? Cipher, unfortunately, seems to be a bit of a better hacker than Ramsey, using the digital world as her weapons, not just guns and explosives. In one hell of an action sequence taking place throughout New York City (with Cleveland doubling for some shots), Cipher commandeers “every device with a zero-day exploit” – namely every car with a computer-based system – and uses them for mayhem on a scale which outdoes a lot of the action we’ve seen across the previous seven films. The Fate of the Furious does not lack for action, nor does it lack for laughs and entertainment; when you’re in the seats for a Fast and Furious film, you know there are going to be bad jokes and big set pieces, which The Fate of the Furious delivers both in spades. 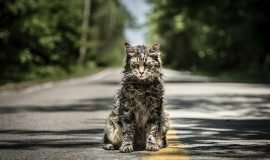 The cast has a wonderful camaraderie which emanates through the screen, and the filmmakers have thankfully kept us wanting to see more of them by not overdoing it or making them tired retreads. True, Roman (Tyrese Gibson) is given the worst of the film’s dialogue, but that’s his role in the family. Tej can be counted on to be the voice of reason and humor; Bridges makes him one of the best characters of the franchise, easy and fun to watch. Diesel, of course, is gonna Diesel, hulking over everyone with a piercing glare and his gutturally menacing voice, playing Dom the way he’s done since The Fast and the Furious. Where it does lack, however, is in the mis-writing of Letty, a formerly hardass character who relied on sarcasm and a dark wit to keep her memorable. Here, she’s reduced to mostly spewing off how much she believes in Dom and her family when she’s not talking about the job or barking out orders. This mistreatment of her character – whose softer side we started seeing in Furious Seven – is the film’s biggest hindrance, being an almost abrupt heel turn from the sassy Letty we knew and loved. 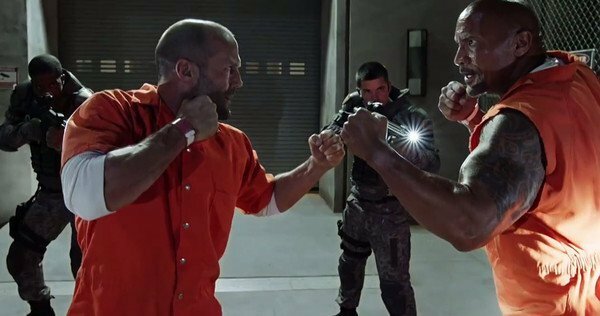 Speaking of heel turns, what can be said about Deckard Shaw (Jason Statham), who vows to kill Team Toretto’s musclebound DSS Agent Luke Hobbs (Dwayne Johnson) in one scene, then suddenly working almost smilingly with him, like, two minutes later? Way to take the rug out from under those of us who wanted to see you fulfill the promise of a Shaw/Hobbs throwdown, O screenwriter Morgan. Then again, we are talking about a Fast and Furious film, a pantheon of films which defies all logic to give you an exceedingly smashing time at the movies. A display of this lack of logic comes when an electromagnetic pulse bomb is activated, crippling all the electronics in the near vicinity, but Ramsey has no problem operating controls in a building just outside where the bomb goes off. But go look for logic somewhere else – this is a fine entry in the Fast and Furious series, where each movie builds off the last and uses it as a trampoline on which to jump to new heights. Just when you think it can’t get any crazier, The Fate of the Furious kicks you into more insanity with jaw-dropping stunts and action.